From this starting point, readers proceed directly to "must-know" information, including how to determine wire sizes and make a variety of common switch connections. Different types of electrical power panels are also examined in detail. Discussion of general wiring practices and circuit protectors, as well as an introduction to transformers and three-phase and single-phase motors, round out the comprehensive coverage. Providing the latest information on both motion and process control, the text offers thorough coverage of industrial control. A wealth of examples mirroring the types of situations technicians face in the field are included throughout to reinforce the practical, applied approach to electricity fundamentals. Measurement instruments commonly used in the field are identified and explained to help readers effectively use them and interpret results. 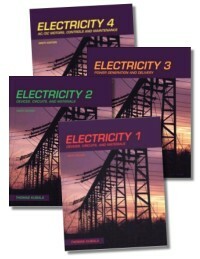 Unique stand-alone units allow readers to gain an overall understanding of electricity basics, while focusing their attention on topics that relate to particular trades. Up-to-date photographs and illustrations throughout the text give students valuable insight into chapter concepts. The Fifth Edition includes the latest information available on grounding and procedures for testing the quality of the grounding system. The text explains in detail the procedure for determining conductor size, fuse or circuit breaker size, overload size, and starter size for electric motors. The thorough section on General Wiring Practices includes information on low voltage chime circuits. Helping instructors maximize their teaching time, engaging PowerPoint presentations of the units as well as comprehensive test banks are now available on an instructor companion website. Unit 2. Electrical Quantities, Ohm's Law, and Resistors. Unit 3. Electrical Sources and Static Charges. Unit 10. Alternating Current Loads. Unit 16. General Wiring Practices Part 1: Receptacle and Switch Connections. Unit 17. General Wiring Practices Part 2: Protection Circuits, Dimmers, and Chimes. Unit 20. Schematics and Wiring Diagrams. 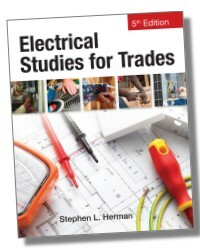 As a retired electrician and proficient instructor with more than 30 years of practical experience, Stephen L. Herman is known for his reader-friendly approach. 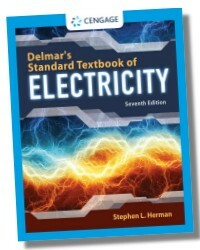 A seasoned author, Mr. Herman has written leading books on electricity and mathematics that are popular with students and instructors alike. For two decades Mr. Herman served as lead instructor for the Electrical Technology Curriculum at Lee College in Baytown, Texas, where he received an Excellence in Education Award from the Halliburton Education Foundation. He also taught at Randolph Community College in Asheboro, North Carolina, for nine years and helped pioneer an electrical curriculum for Northeast Texas Community College in Mount Pleasant, Texas. His additional publications include ELECTRIC MOTOR CONTROL, ELECTRICITY AND CONTROLS FOR HVAC/R, INDUSTRIAL MOTOR CONTROLS, UNDERSTANDING MOTOR CONTROLS, ELECTRONICS FOR ELECTRICIANS, ELECTRICAL WIRING INDUSTRIAL, ALTERNATING CURRENT FUNDAMENTALS, DIRECT CURRENT FUNDAMENTALS, ELECTRICAL STUDIES FOR TRADES, ELECTRICAL PRINCIPLES, ELECTRICAL TRANSFORMERS AND ROTATING MACHINES, EXPERIMENTS IN ELECTRICITY FOR USE WITH LAB VOLT EQUIPMENT, THE COMPLETE LABORATORY MANUAL FOR ELECTRICITY, and PRACTICAL PROBLEMS IN MATHEMATICS FOR ELECTRICIANS.